For $590 you can secure a CosMediTour Surgery Travel Warranty which if required, covers your revision surgery, flights back to Thailand and luxury accommodation. 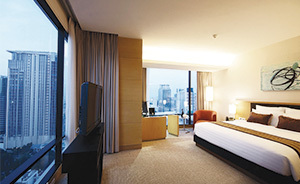 For $250 upgrade your entire stay at AETAS Bangkok from a Superior Room to a Deluxe Room – with loads more space! Payment Plans from $45 per week. Terms & Conditions Apply. Click here for more details. The package includes a Rhinoplasty procedure. This price may vary based on the Surgeon’s Recommendation following submission of your Online Assessment.